Glad to have found a builders forum. New to the platform and looking forward to gaining some knowledge along the way of my 1st build. Welcome to the addiction shawn. What is your choice of caliper for your build? I went with 5.56 caliber. Nice! Have you looked into the 223 wylde? I like what you did with that lower. What did you use? I used testors enamel model paint. I went with a flat copper color and painted over the roll marks and used non-acetone nail polish remover to clean up. 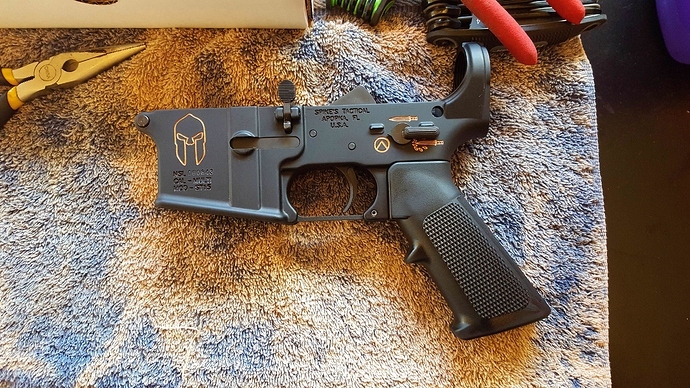 Picked it up from you tube on how to make your ar15 more yours and stand out from the rest i suppose. 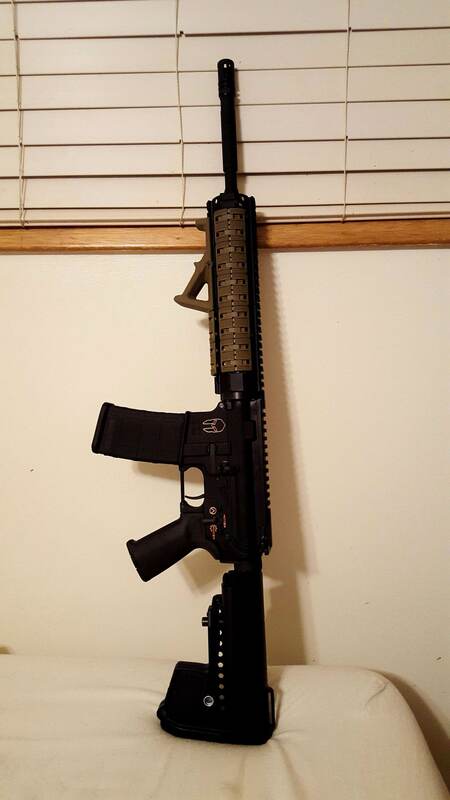 Almost completed 1st build. Still looking into a optic. Glad to have you here Shawn! Congrats and welcome to the jungle.